English writers have a way of invoking paternal imagery when thinking of Chaucer. "The Medieval word for a Poet, was a Maker," said G.K Chesterton, and "there was never a man who was more of a maker than Chaucer. He made a national language; he came very near to making a nation. At least without him it would probably have been neither so fine a language or so great a nation. Shakespeare and Milton were the greatest sons of their country; but Chaucer was the father of his country, rather in the manner of George Washington." A sweeping claim, maybe, but with a nucleus of truth. Chaucer really was a kind of English founding father. He didn't invent the language for literature but he chose it - and put his energy into exploiting and developing it. And The Canterbury Tales is where it happened. 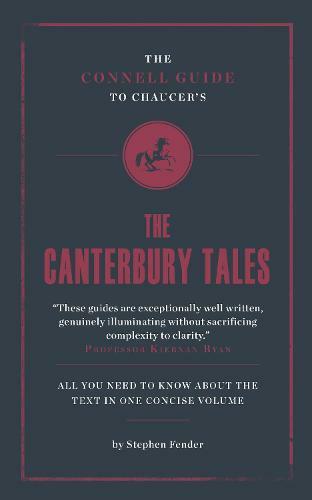 The Canterbury Tales was truly original. Chaucer's narrators, pilgrims on the road to Canterbury, range from a knight to a wealthy landowner, a merchant, a miller and minor church officials. They are brought to life by vivid descriptions of their clothing, bodily appearance and behaviour - and through the wide variety of English vernacular they voice. These are the raw materials out of which Chaucer not only produces comedy but develops themes like the condition of the church, the conflict between fate and free will, and what it is that constitutes authority, whether in the Bible or the conventions of courtly-love romance. In 1478, the printer William Caxton thought it to be such an English monument that he invested a fortune in time and money to publish The Canterbury Tales as the first ever book in English to be printed in England. It has never been out of print since.